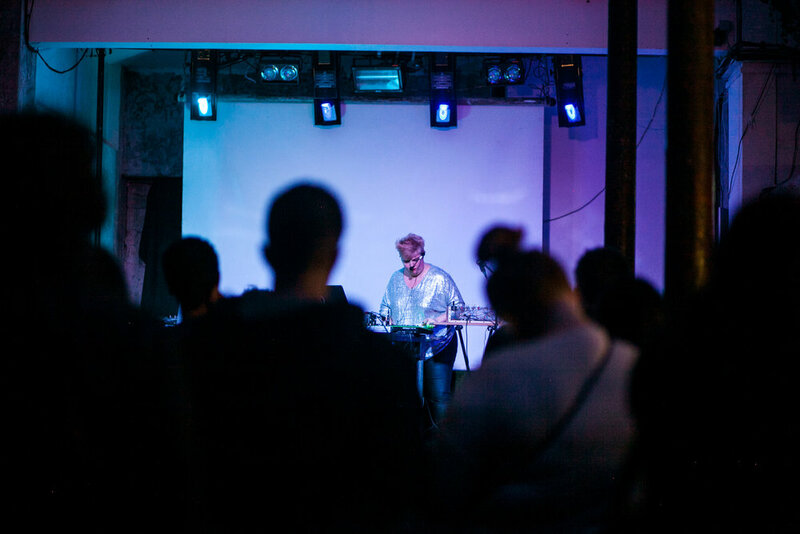 In November 2018 _REMIX presented Synth Remix, a night of DJ sets and live performances celebrating the pioneering women of electronic music. Award winning musician Jo Thomas presented new work based on archival research at the Delia Derbyshire archive and BBC archives. The nights culminated in a headline audio-visual set by contemporary artist Olivia Louvel. Synth Remix was performed at 93 Feet East (London), the Anthony Burgess Foundation (Manchester), Belgrave Music Hall (Leeds), and Ikon Gallery (Birmingham), as well as live broadcast on digital station, Resonance EXTRA. _REMIX are grateful for the generous support of Arts Council England (using public funding from the National Lottery), Sound and Music's Composer-Curator scheme, the PRS for Music Foundation, and The Fenton Arts Trust. For Synth Remix, Jo created new work, Nature’s Numbers, based on the music and working papers of Delia Derbyshire. Hear an extract below, watch our interview with Jo, and her accompanying visuals inspired by Derbyshire’s sketches and drawings. Olivia Louvel has been praised for her ‘brooding electronic pop’ [The Wire] performing at ‘the creative frontiers where music and art intersect’ [The Quietus]. Her music is played regularly on BBC 6 Music, BBC Radio 3, and on Resonance FM. For Synth Remix, Olivia presented her immersive, audio-visual composition, Data Regina. Performed alongside computer-generated animations by Antoine Kendal, Olivia's performance set text by Mary, Queen of Scots to explore ‘atmospheres of misogyny’ [The Wire]. Watch an extract of her performance, as well as our interview with Olivia, below. “These intuitive and democratic takes on compositions by Oram and Derbyshire reverberate today.” - read the full Nature Journal review, here.